Hiperbaric 135 is targeted for medium-high food production environments. 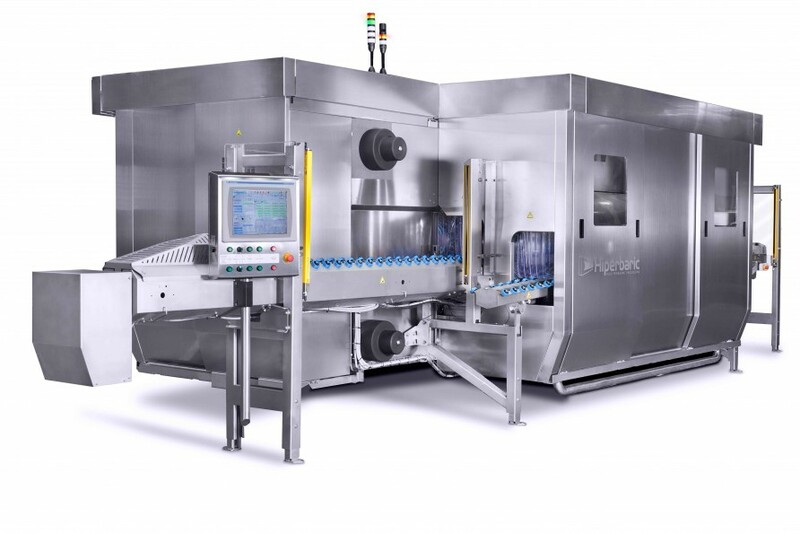 Its 135 litre capacity vessel together with its bigger diameter, 300 mm., provide an improved filling ratio and allows the processing of large products (whole hams, large formats etc. ), enables it to achieve throughputs of more than 500Kg/h. Its horizontal design and a contained footprint make it very easy to install, operate in an ergonomic way, and perform maintenance. The standard configuration includes two high pressure intensifiers which can work separately for optimized reliability and uptime, an exclusive characteristic of the Hiperbaric High Pressure Processing range. A pioneer middle sized industrial equipment, it has been installed in 4 continents (America, Europe, Asia and Oceania) and in such a variety of sectors such as: meat, fruit and vegetable, juices, seafood and dairy. Many technological centers, international reference in new and innovative food products development, have this equipment as one of its main R&D tool.